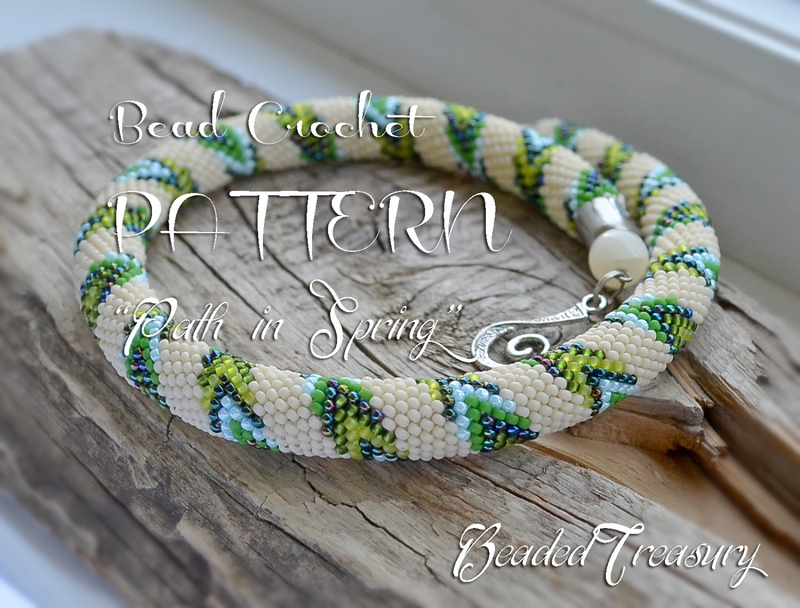 This listing is for the digital pattern of "Path In Spring" bead crochet necklace. A path formed of different shades of green and blue arrows shows us the road to reaching the kingdom of spring. This is a necklace of the new beginnings in life, very fresh, cheerful and light. - instruction on how to make a finished necklace. 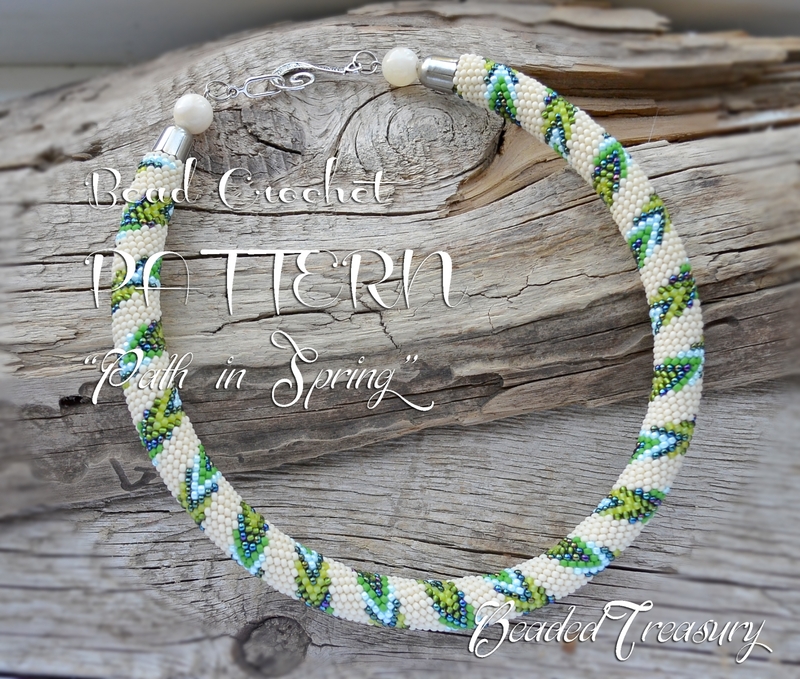 The pattern uses seed beads size 11/0 with 16 stitches in the round.